One Direction Show: Concert, or Quasi-Religious Experience? By Maria Nunez When I purchased tickets to One Direction’s “Where We Are” Tour back in December, I thought I knew what I was getting myself into. Yes, I know I’m a 19-year-old indie concert mogul — not your stereotypical One Directioner. But I wasn’t going to miss my opportunity to see one of the biggest bands in the world, the “new Beatles,” as some critics say. On Sept. 21, I traveled to San Antonio’s Alamodome, ironically the same place where I graduated high school. I came back the following morning realizing it hadn’t just been a concert, but an experience. There’s a reason One Direction is called one of the biggest bands of our time. Sure, they show the statistics on TV all the time: sold-out stadiums, millions of screaming fans, record-breaking album sales, etc. Still, the enormity of the band is something that doesn’t really click until you witness it firsthand. When I arrived at the Alamodome 15 minutes before doors opened, the entire waiting area was filled to the brim. Everyone’s tickets had reserved seats, so I didn’t find a logical reason to arrive early. It’s not like anybody was trying to run to the floor to get front row, so I was already baffled. 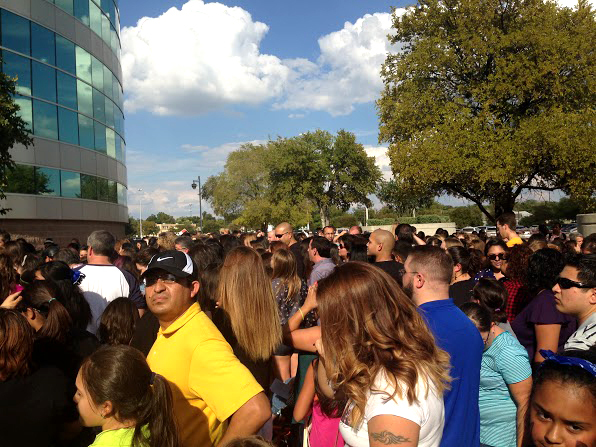 I later learned that some people had been waiting for up to five hours, unsuccessfully hoping to catch a glimpse of the boys. Once doors opened, the halls of the Alamodome suddenly turned into a can of sardines. If somebody got separated from their group on the way to their seats, they were gone. At this point, I was scared for my life. For a second, I almost thought the 12-year-old girl decked out in a One Direction t-shirt and tutu would actually hurt me for accidentally pushing her and bending the light-up poster she had snuck into the venue. After entering the Alamodome at 5:15, I reached my floor seat at 6:30. As I made my way to my seat, I passed the line — which easily spanned four to five sections — of people still waiting to get their wristbands to enter the floor area. These were the same people who had potentially arrived hours before doors opened, and they most likely wouldn’t get to see the opening band. The image of every seat in the 70,000-person stadium full is still etched in my mind. The other group is just “fans.” They’ve seen the band’s growth from their X-Factor days, keep up with their whereabouts through fan-made Twitter accounts, run blogs followed by thousands of other fans and would give up their right leg to have any sort of personal interaction with the group. Another contributing factor to the band’s massive popularity is the wide age range of its fans. Sure, pre-teen fangirls comprise the majority, but there were plenty of 21-plus fans clenching their beers in the air― mothers having as much of a blast as their kids and even a few reluctant boyfriends at Sunday’s show. The groups were clearly segregated beforehand: the fangirls let out shrieks of hysteria every time a picture of the boys popped up on the huge screens. Meanwhile, the older fans spent their time socializing or complaining about the lack of cell phone service at the venue, and the mothers drank away the fact that they just spent over $1,000 to let Harry Styles sweat on their daughters in the front row. 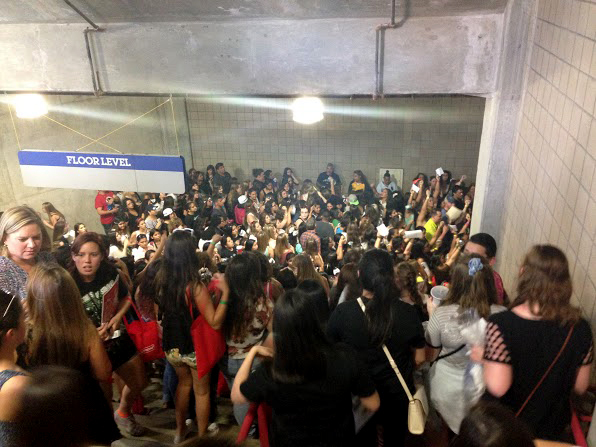 However, once the show started and the boys came up from under the stage it was a completely different story. Suddenly, the pre-teens weren’t the only ones screaming, and everyone sang along with the band, which elicited plenty of “I LOVE YOU ZAYN!” shouts from the crowd. Not a single person was sitting. The band exclaimed that San Antonio was one of the loudest shows they’d had (alright, they say that everywhere), but I wouldn’t doubt it if it truly was. I don’t know how at least one of the boys haven’t gone deaf from hearing these piercing screams every single night. The production of the show was nothing spectacular, just a bunch of screens, lights, lasers, and fireworks to get the crowd excited. But it worked. 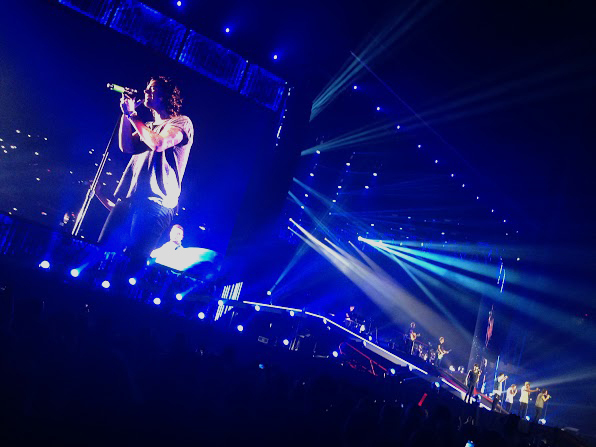 One could argue that you haven’t really been to a concert until you’ve seen One Direction. I beg to differ. 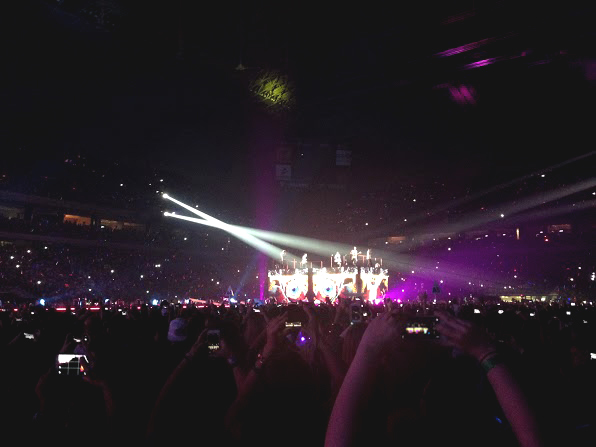 I’ve been to concerts, but I had never been a part of such a fan-driven experience until I saw One Direction.